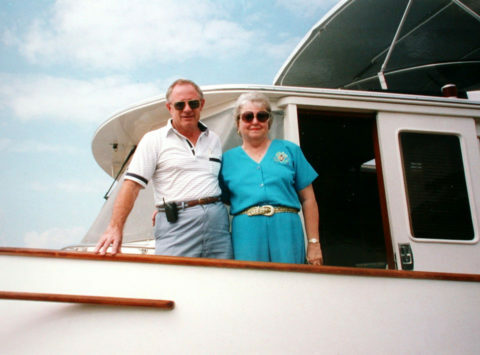 It wasn’t long after establishing Burr Yacht Sales in 1963 that Arthur Burr became widely recognized as an influencer within the boating industry. While the word has become trendy and widely used of late, an innate ability to anticipate what boaters would want made Art an influencer in the boating world long before the term was coined. This has been especially true since 1991 when Burr Yachts Sales became the exclusive East Coast dealer of Fleming Yachts. The unofficial, and somewhat inauspicious, beginning of Burr Yacht Sales can actually be traced back to Art’s first boat; a used 14’ wooden rowboat powered by a 5-horsepower Briggs & Stratton that his father gave him upon his graduation from grammar school in 1946. Art spent the summer exploring the Great South Bay off Long Island before refurbishing it and selling it for a tidy profit. He would spend the next several summers fixing up, enjoying and then reselling a variety of seasoned vessels. It was, however, an article that ran in the Saturday Evening Post in 1949 that forever changed the direction of young Art’s life and, in some ways, the direction of boating. The article referred to the Webb Institute of Naval Architecture and Marine Engineering, located in Glen Cove, NY, as “America’s toughest school.” This peaked Art’s interest. An arduous two-day entrance exam led to Art’s admission, and the education and real-world experience proved invaluable. He graduated from the Webb Institute in 1954 and married Marilyn, his high school sweetheart, the following year. For the next eight years, Art worked for Admiral Hyman Rickover in Washington, DC, on the headquarter staff of the Naval Reactors’ branch of the Atomic Energy Commission. He received his officer’s commission in the U.S. Navy and advanced training in nuclear physics at the Oak Ridge School of Reactor Technology. Art spent the next few years working as Admiral Rickover’s representative in dealings with Westinghouse Atomic Power Division and General Electric’s Knolls Atomic Power Laboratory, primarily in the development of pressure containment vessels, control drive mechanisms, and equipment for remotely refueling reactors. This base of experience in practical, advanced engineering would prove invaluable as Art’s career began to move toward boating. In 1961, Art transferred to the boat design section of the Bureau of Ships where he prepared plans for the Navy’s fiberglass boats, providing him with a profound understanding of the importance of fiberglass technology and solid hull design, and helped design the 52’ LCSR River Patrol boats used in the Vietnam War. It was on a visit to Miami in 1963 to review the boats being built for the U.S. Navy under the supervision of Peter Guerke, a German naval architect, that Guerke showed him the designs for a 27’ speedboat which was currently under construction in the area. Art was so intrigued by the designs that he arranged a visit to the boat builder. While there, he spied yet another boat, and met two people, that would change the course of his life. 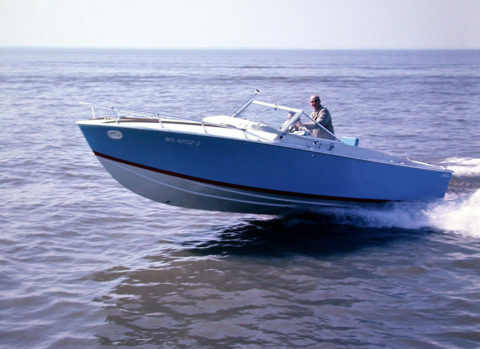 The “other boat” was the original Formula 223 and the two people were boat designer Jim Wynne, the inventor of the stern drive, and the infamous boat builder, Don Aronow, the founder of Formula, Donzi, Magnum and Cigarette. Before the chance meeting ended, Art was the Chesapeake Bay dealer of Formula boats and Burr Yacht Sales was born. For two years, Art balanced his job with the government and the boat business, with he and Marilyn filling every role at the new business, before leaving his position with the government. Art’s years of experience in naval architecture, mechanical and electrical engineering, and hands-on ability with cabinetry, and engine work, quickly separated Burr Yacht Sales from other dealers. After selling Aronow’s boats – first Formula, then Donzi – Art found both the maintenance of the high-performance boats and the high-maintenance Aronow a bit much and, in 1968, began looking to make a move. That move would lead to Bertram, which was then a relatively small company on the cusp of starting the sport fishermen revolution. Just days after Burr Yacht Sales became a Bertram dealer, the company was acquired by Whittaker Corporation which would prove the beginning of the glory days for the brand. It would also be the start of a 22-year relationship between Burr Yacht Sales and Bertram. 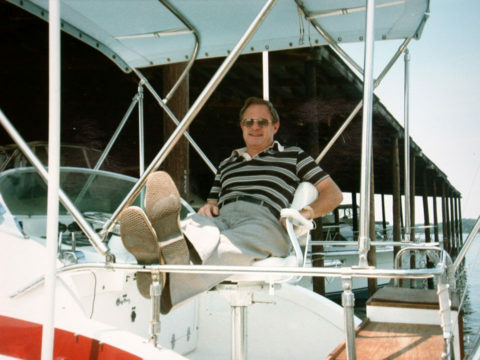 During this time, Burr Yacht Sales would become one of the boat builder’s most productive dealers, delivering millions of dollars’ worth of boats to customers all over the world, most notably to King Hussein of Jordan who purchased a B-60, a B-54 and a fleet of ten B-31s. Equally important to Art were the customers of relatively limited means who felt the quality and performance of Bertram made owning one worth making sacrifices. 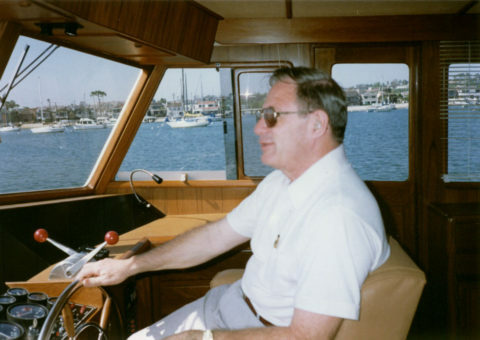 With his innate ability to connect with his clients, and because of the volume of Bertram sales generated by Burr Yacht Sales, Art was able to influence design changes to future models by constantly gathering information – every customer’s compliment or complaint – and presenting his findings to Bertram. It was while Burr Yacht Sales was a Bertram dealer that Art purchased the company’s current Edgewater, MD location – just south of Annapolis – and gradually began to expand the company. With the expansion came the addition of several new employees including current owners Ray Currey, Pat Flaherty and Mick Shove, and Charlie Reese and Dave Burgess, both of whom have devoted their careers to BYS. In 1990, as Bertram was facing mounting financial difficulties which were stressing dealer-customer relations, Art opted to part ways with the company. It was time for Art to consider his next move. In 1991, Art fell in love with a striking long-range pilothouse motoryacht being built by Tony Fleming. Fleming, of Grand Banks fame, had begun building the boats at Tung Hwa Industrial Company in Taiwan, in 1985. 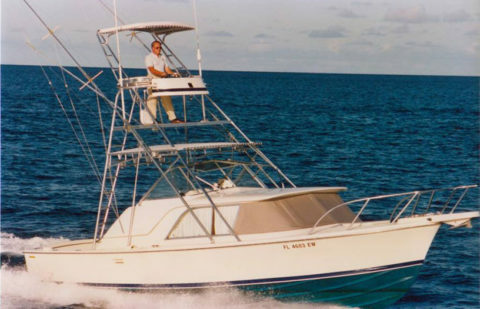 By 1990, when the U.S. luxury tax decimated the marine industry, Fleming Yachts, which pair a classic, elegant appearance with cutting-edge systems and unrivaled safety and stability, had begun to establish a loyal clientele and was able to survive the difficult financial circumstances the industry was facing. Art was immediately impressed with the design and construction of the graceful Fleming yacht. He purchased 55-029 for himself in 1991, and then had the Burr Yacht Sales team do the outfitting over the course of the next six months. After closely studying the outfitting process to fully understand the details and systems, the team ran extensive sea trials for several months. Following the completion of his research on the 55 – which reinforced his initial favorable impression of the vessel – Art met with Tony Fleming. He quickly realized that Tony shared his own commitment to quality and unwavering attention to detail. Although initially hesitant to grant exclusive geographical rights to one dealer, a point on which Art was non-vacillating, Tony saw in Art and Burr Yacht Sales the opportunity to expand his company’s sales. 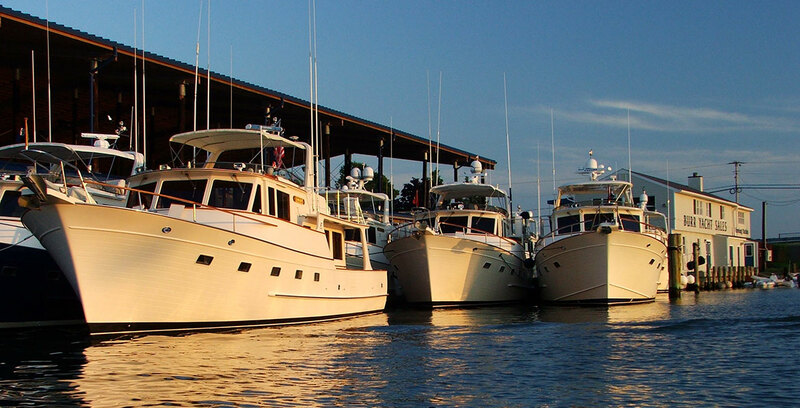 In 1991, Burr Yacht Sales became the exclusive East Coast distributor for Fleming Yachts. Since then, sales of Fleming Yachts have increased exponentially with Burr Yacht Sales responsible for the sales and service of more than 60% of the vessels worldwide. Art would work directly with Fleming on the subtle changes that emerged with each new hull with Ray, Pat and Mick continuing – and strengthening – Art’s legacy of working to improve Flemings since assuming ownership in 2009.